I've been watching with anticipation when and where I'll be seeing these pop up on Canadian toy shelves and even gave the personal pitch to my local comic shop, but thought I'd start a thread on the subject. I've heard ToyWiz is over priced and not the ideal store. I've heard Dave will be carrying them at 8 inch Superstore and seen both AmokTime and Cotswold (GI Joe) are already selling pre-orders. Who else? Not sure why the Monsters and Trek are sold as a batch and not individually, but I'm holding out for a seller that breaks them apart for cherry-picking. For those ordering these online, who are YOU ordering from? Last edited by Avenging Robot; Jan 25, '19 at 3:15 PM. If online is the only choice,I'm going with Cotswolds. They'll have them for $13.99. I'm hoping Target. 5% off red card. Free shipping. Sales. Anybody know anything about https://www.zolosroom.com/ ? 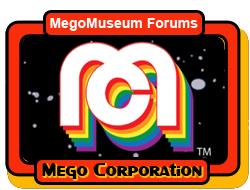 They list the new Megos include the 14" ones, have free shipping on orders over $50 and have a 15% for your first order. I've never heard of them before, so I have no idea if they are reputable. Their prices do seem a bit higher. Thanks for the tip! I just pre-ordered a bunch from them. yeah I looked at cotswolds(who I do order from from time to time)and noticed star trek set was 54.99.I went holy &*%,I just spent 84 at amok! but realized it was a four figure set. (I buy extras anyway so im fine with amok).anyway i'll see what's available through target primarily,then branch out to other retailers if need be. I haven’t seen a Freedy figure for pre order yet, only as a monster set. For newbs like me, who don't want to spend time (like me) on Google going down false paths to UK vacation spots and outdoor gear websites, Cotswold Collectibles is http://www.gijoeelite.com/. Last edited by Treadwell; Jan 26, '19 at 9:54 PM. Thanks for the link! I know I don’t have the money to travel to the U.K.